SOLD! Excellent Waterfront 4-BR/4-BA for under $350,000! SOLD! 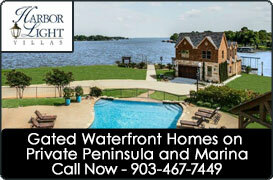 Large 4-BR/4-BA open waterfront home is perfect for a large family, multiple families or lots of guests. Located in highly desirable Woodcanyon Waters on 100 deep, open water feet. Featuring large waterside Family Room w/stone WBFP, 2 waterside Master Suites, separate Guest Quarters, flo-thru Kitchen w/lots of storage, separate Dining area & large outdoor deck spanning the entire width of the home. This waterfront home sits well off the cul-de-sac and is situated perfectly on a heavily wooded lot for maximum open water views and that get-away feeling. A tree-lined driveway leads to the detached 2-car Garage and a boardwalk leads from the Garage to the main entry of the home.